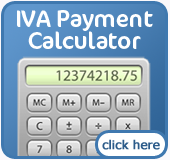 It is sometimes possible to settle the amount you owe to creditors determined by an IVA by making a lump sum payment. In certain circumstances creditors may even accept a lump sum as a final payment, even if it less than the whole debt. For example, if you don't have the means to meet regular payments but you hold a substantial amount of money through any of a number of assets then you may be able to make a lump payment to cover the debt from your IVA. There are various ways that you could have come up with the money: a deceased relative's will, releasing equity in your home, or by raising capital another way. 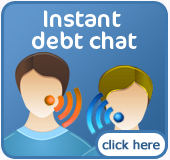 On some occasions the creditor will accept less of the debt just so that you will pay them back quicker. From their point of view, to lose a small amount is better than losing a larger amount as would be the case if you couldn't make the set monthly payments. In order to qualify for a Lump Sum IVA, you need to meet the same criteria for a standard IVA. This means that you should have debts over £15,000 with more than two creditors. You will also be required to have some sort of asset that you can offer as the lump sum payment. If you have such assets then a Lump Sum IVA can be a quick and easy way for you to become debt free.